Any unauthorized use, reproduction or distribution of the information in this site is prohibited. By accessing this website you certify that you agree to the terms and conditions of use. 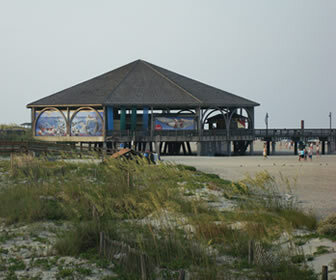 © Copyright ExploreTybee.com. All rights reserved. The ExploreTybee.com name, logo and trade dress are owned exclusively by ExploreTybee.com. All trademarks, service marks, logos, graphics, domain names, metatags, trade dress, and trade names applicable to ExploreTybee.com's business, operations, facilities, products and services (collectively, "ExploreTybee.com' Intellectual Property") are owned exclusively by ExploreTybee.com. ExploreTybee.com' Intellectual Property may not be used in connection with any product or service that is not ExploreTybee.com', in any manner that is likely to cause confusion among customers, or in any manner that disparages or discredits ExploreTybee.com. All other trademarks, service marks, logos, graphics product names and company names not owned by ExploreTybee.com that appear on this Web Site are the property of their respective owners. 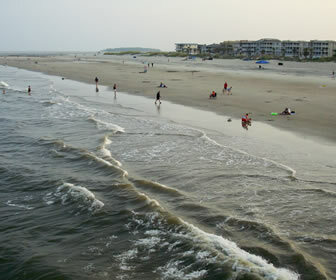 The content and software on this Web Site are to be used only for providing information regarding ExploreTybee.com to persons who visit this Web Site. Any other use of the content and software on this Web Site, including the reproduction, modification, distribution, transmission, republication, display or performance of such content and software, is strictly prohibited. 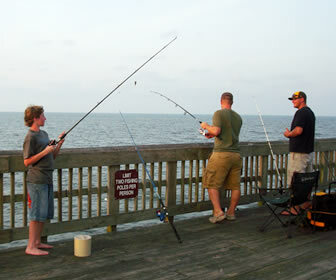 THIS WEB SITE IS PROVIDED BY EXPLORETYBEE.COM ON AN "AS IS" AND "AS AVAILABLE" BASIS AND MAY INCLUDE INACCURACIES OR TYPOGRAPHICAL ERRORS. EXPLORETYBEE.COM MAKES NO REPRESENTATIONS OR WARRANTIES OF ANY KIND, EXPRESS OR IMPLIED, WITH RESPECT TO: THIS WEB SITE OR ANY OF THE INFORMATION, CONTENT AND MATERIALS INCLUDED ON THIS WEB SITE; THE OPERATION, USE OR RESULTS OF USE OF THIS WEB SITE; OR THE CORRECTNESS, ACCURACY, AND RELIABILITY OF THIS WEB SITE. EXPLORETYBEE.COM MAKES NO REPRESENTATIONS OR WARRANTIES OF ANY KIND, EXPRESS OR IMPLIED, THAT THIS WEB SITE AND ANY OTHER SERVICES PROVIDED BY EXPLORETYBEE.COM WILL BE FREE OF ERRORS, THAT THE USE OF THIS WEB SITE WILL BE UNINTERRUPTED, THAT DEFECTS WILL BE CORRECTED, OR THAT THIS WEB SITE OR THE SERVER THAT MAKES IT AVAILABLE ARE FREE OF VIRUSES OR OTHER HARMFUL COMPONENTS. TO THE FULLEST EXTENT PERMITTED BY APPLICABLE LAW, BY EXPLORETYBEE.COM HEREBY DISCLAIMS ALL WARRANTIES, EXPRESS OR IMPLIED, INCLUDING, BUT NOT LIMITED TO, WARRANTIES OF MERCHANTABILITY, FITNESS FOR A PARTICULAR PURPOSE, EFFORT TO ACHIEVE PURPOSE, QUALITY, ACCURACY, QUIET ENJOYMENT, TITLE AND NON-INFRINGEMENT. IN NO EVENT SHALL EXPLORETYBEE.COM BE LIABLE FOR ANY LOSSES, INJURIES, OR DAMAGES (INCLUDING, WITHOUT LIMITATION, DIRECT, INDIRECT, INCIDENTAL, SPECIAL, CONSEQUENTIAL OR PUNITIVE DAMAGES, LOSS OF ANTICIPATED PROFITS OR BENEFITS, OR ANY OTHER ECONOMIC LOSS), ARISING OUT OF OR IN ANY WAY CONNECTED WITH THE USE OF THIS WEB SITE OR THE DELAYED INABILITY TO USE THIS WEB SITE, WHETHER BASED ON CONTRACT, TORT, STRICT LIABILITY OR ANY OTHER THEORY OF LIABILITY, EVEN IF EXPLORETYBEE.COM HAS BEEN ADVISED OF THE POSSIBILITY OR LIKELIHOOD OF SUCH LOSSES, INJURIES OR DAMAGES. YOU ASSUME THE ENTIRE RISK AND RESPONSIBILITY FOR ANY DAMAGES SUFFERED BY YOU IN CONNECTION WITH YOUR USE OF THIS WEB SITE, INCLUDING, WITHOUT LIMITATION, LOSS OF DATA, ERRORS, USE OR RELIANCE ON INACCURATE INFORMATION, WEB SITE DOWN TIME OR INTERRUPTIONS. YOUR SOLE AND EXCLUSIVE REMEDY FOR BREACH OF ANY WARRANTY, OR YOUR DISSATISFACTION WITH THIS WEB SITE, IS TO DISCONTINUE YOUR USE OF THIS WEB SITE. This Web Site may contain links to other web sites not owned by ExploreTybee.com, (the "Linked Sites"). The Linked Sites are not under the control of ExploreTybee.com, and ExploreTybee.com is not responsible for the availability of such Linked Sites, does not endorse and is not responsible or liable for any content, products or other materials available on any Linked Site, including, without limitation, any link contained in a Linked Site. 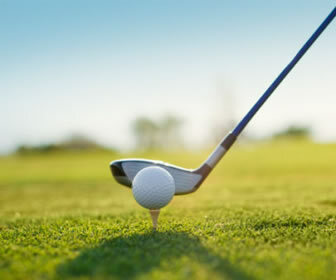 In the event that ExploreTybee.com provides a link to a Linked Site, such links are provided only as a convenience, and the inclusion of any such link does not imply endorsement by ExploreTybee.com of the Linked Site or any association with the Linked Site's operators. You agree to comply with all applicable laws, statutes, regulations and ordinances. ExploreTybee.com may cancel or terminate your right to use the Service or any part of the Service at any time without notice. In the event of termination, you are no longer authorized to access the part of the Service affected by such cancellation or termination. The restrictions imposed on you with respect to material downloaded from the Service, and the disclaimers and limitations of liabilities set forth in these Terms of Service, shall survive. The information in the Web Site may contain typographical errors or other errors or inaccuracies and may not be complete or current. We therefore reserve the right to correct any errors, inaccuracies or omissions and to change or update information at any time without prior notice. We do not, however, guarantee that any errors, inaccuracies or omissions will be corrected. Hypertext links to third party Web sites or information do not constitute or imply an endorsement, sponsorship, or recommendation by ExploreTybee.com of the third party, the third-party Web site, or the information contained therein. You acknowledge and agree that ExploreTybee.com is not responsible for the availability of any such Web site, or the content on such Web site thereon or the services offered by such Web site. Under no circumstances will ExploreTybee.com be responsible for any loss or damage resulting from your use of any such Web site or the services offered by such Web site or any content posted on such Web site or transmitted from such Web site. Any links to other sites are provided for convenience only. You need to make your own decisions regarding your interactions or communications with any other Web site. ExploreTybee.com has a committed policy for compliance the United States copyright law and expects all customers or visitors to do the same. The Digital Millennium Copyright Act of 1998 ("DMCA") provides recourse for owners of copyrighted material who believe that their rights under copyright laws have been infringed on the Internet. When ExploreTybee.com receives a properly filed complaint satisfying the requirements of the DMCA, ExploreTybee.com will remove or block access to the allegedly infringing material upon verification o the submitted information. If a customer of ExploreTybee.com believes that a notice of copyright infringement has been improperly filed, the customer may submit a counter-claim to ExploreTybee.com. ExploreTybee.com will not be a party to disputes over alleged copyright infringement. This information is not be construed as legal advice. If you believe that your copyrights have been infringed, or if a notice of copyright infringement has been filed against you, we advise that you seek legal counsel. If you believe that a Web page hosted by ExploreTybee.com is violating your rights under U.S. copyright law, you may file a complaint of such claimed infringement with ExploreTybee.com's designated agent in the manner described below. b. Identification of the copyrighted work claimed to have been infringed. c. Identification of the material that is claimed to be infringing or to be the subject of the infringing activity and that is to be removed or access to which is to be disabled as well as information reasonably sufficient to permit ExploreTybee.com to locate the material. d. Information reasonably sufficient to permit the service provider to contact the complaining party, such as an address, telephone number, and, if available, an electronic mail address. e. A statement that the complaining party has a good faith belief that use of the material in the manner complained of is not authorized by the copyright owner, its agent, or law. a. physical or electronic signature; b. identification of the material that has been removed or to which access has been disabled and the location at which the material appeared before it was removed or access to it was disabled; c. a statement under penalty of perjury that the Member has a good faith belief that the material was removed or disabled as a result of mistake or misidentification (See 28 U.S.C. ? 1746); and, d. your name, address, and telephone number, and a statement that you consent to the jurisdiction of the federal district court for the federal district in which you are located, and that you will accept service of process from the complainant. If ExploreTybee.com receives a valid counter-claim, the DMCA provides that the removed material will be restored, or access re-enabled. Please be advised that U.S. copyright law provides substantial penalties for a false counter-claim filed in response to a notice of copyright infringement. © Copyright ExploreTybee.com All rights reserved.